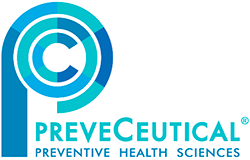 Health sciences company PreveCeutical Medical Inc. (CSE: PREV) (OTCQB: PRVCF) (FSE: 18H) was featured in an interview today by Proactive Investors. Chairman and CEO Stephen Van Deventer and chief research officer Dr. Harry Parekh discussed the company’s four programs: Sol-Gel, Nature Identical™, Dual Gene Therapy and Engineering Peptide Therapeutics. Among other topics, they discuss the rising rate of opioid overdoses and addiction, which the company’s planning to tackle utilizing its proprietary linker technology to engineer peptide therapeutics. “What’s key about the technology is you cannot create tolerance to this treatment and you cannot overdose as well,” PreveCeutical chairman and CEO Stephen Van Deventer stated in the interview. Additionally, they noted the company’s recent appointment of Dr. Maher Khaled to the position of director of international operations as a “perfect fit” for PreveCeutical’s programs moving forward. This entry was posted in PreveCeutical Medical Inc. PRVCF, QualityStocksNewsBreaks on February 27, 2018 by QualityStocks.